Ivy on her first day of school in her Maddandbrant me tee. to look back at photos of this one day so it has to be super cute. Insert light bulb over the head here, that's when I thought of Maddandbrant. Well Maddandbrant is a adorable shop who sells costume hand painted t-shirts for kids. 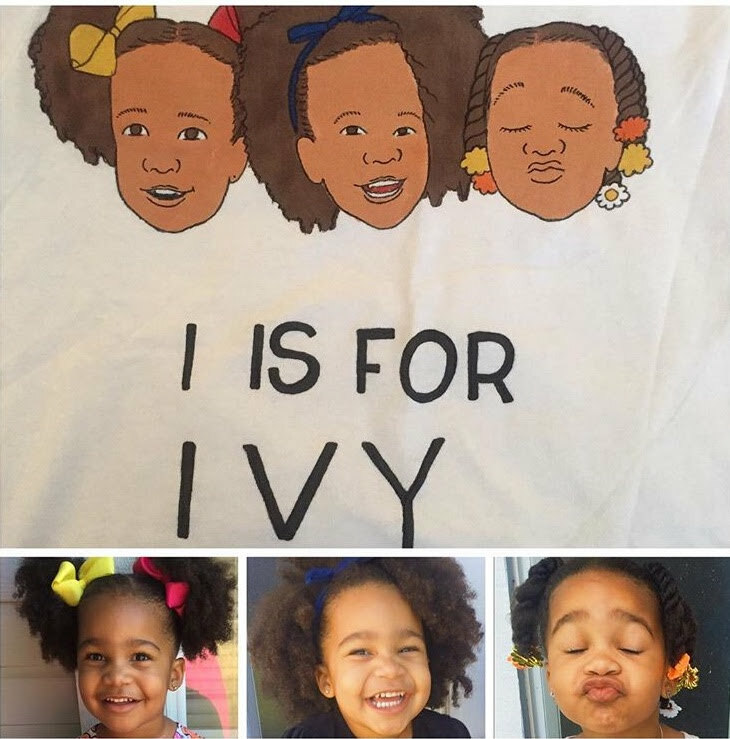 Growing in popularity with 24.1K followers on Instagram (follow maddandbrant on Instagram here) Maddandbrant was the perfect place I could think of to get Ivy a shirt for her big day. Everyone in Ivy's class loved her shirt so much the teacher asked her to stand up in front of the class and show it to everybody. Now me and my friend (motherwanderblog) are teaming up with Maddandbrant to bring you a giveaway. See details below. Hi guys! I'ts giveaway time! @maddandbrant, @motherwanderblog & @missporsha have teamed up to give one lucky winner a custom Me tee! That's right a custom shirt with your child's face on it. How cute right?! 1. Follow the Instagrams of @maddandbrant, @motherwanderblog & @missporsha. 2. Tag 3 friends in the comments below! The more friends you tag the more entries you get! And it's that simple. Good luck! you can shop Maddandbrant Here. you can shop Me tees Here.